A Peruvian television channel has recently acquired the rights to broadcast well-known Korean dramas and have been noted as taking yet another step forward for the Hallyu wave. The commercial included KBS‘s Boys Before Flowers (Las Flores Salvajes/Wild Flowers), MBC‘s Strike Love, KBS‘s Summer Scent (Esencia De Verano), MBC‘s Heading To The Ground starring DBSK‘s U-Know Yunho (Sin Limites/Without Limits), KBS‘s Full House starring Rain, and KBS‘s Spring Waltz (Ella Es Una Mujer/She’s A Super Woman). The channel will begin their Korean broadcasts with MBC‘s Queen Of Housewives on August 30th. In this sound track, there are many precious memories. I would like to treasure the memories together with everyone. The Korean drama, protagonists by Uknow Yunho, leader of the Popular group TVXQ pass the borders of Asia reaching different countries of America including Peru, Ecuador, Venezuela and Puerto Rico. This is because at the last Fair NATPE 2010, the largest convention of television stations throughout America and the channels that reach around the world to offer their series and franchises, channels such as KBS, MBC and SBS in South Korea, announced to have closed successful negotiations in order to their most popular dramas are transmitted in different contries around Latin and Central America and is expected that the called “Korean wave” invade these countries. Although not yet know the exact date of commencement of emissions or schedules are known to “Heading to the Ground”, arrived in the Latin countries under the name of “Sin Limites” (“Without Limits “), in the case of Peru is known to be delivered under the open signal chanel “Panamericana Television”, HTTG would arrive with different success of korean television such as Boys Over Flowers, Spring Waltz, Full House and Love Strikes. During the first week release, “No Limit ~ Heading to The Ground~” DVD-BOX I and II recorded 14,000 copies sales and respectively hold the 1st and 2nd position in ORICON drama ranking, showing a tremendous popularity of this Korean drama. In order to celebrate this achievement, an event called Premium Fan Event was held at Tokyo International Forum in Yurakucho, Tokyo. The male lead Yunho (TVXQ) appeared at the event, expressed his grateful to more than 10,000 fans who attended. 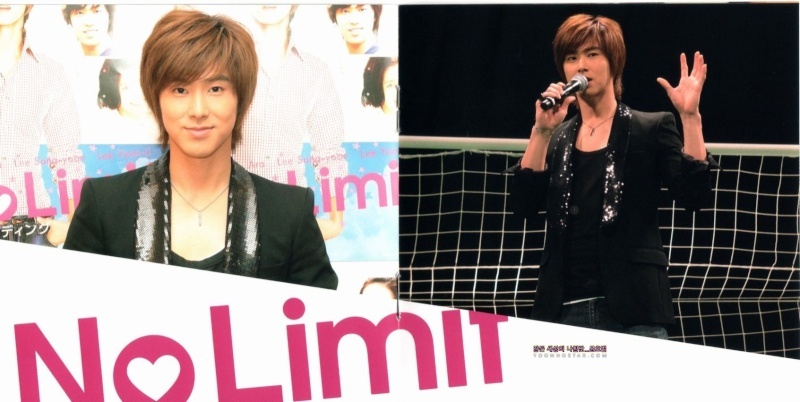 ‘No Limit’ is a drama about a talented yet trouble maker soccer player Cha Bong Gun (Yunho), from his team disbandment to traffic accidents, he met with his agent and has a love affair with her, a kind of comedy romantic drama about a fresh young man struggling for his dream. As ‘soccer’ was the main theme of the drama, when he was asked whether he’s interested with World Cup which is currently being held, “I watch every game! There are so many broadcasts at night, therefore I always wake up late in the following days (laughs)” revealing that his likeness to soccer. He also added, “I’m glad that overall, Asia is getting stronger. For Japanese player, I think Honda Keisuke was really cool. He was decisive in the Denmark game, and his free-kick was brilliant.” a comment about one Japanese soccer player was said. Regarding his first work in TV drama, he was asked to give his point of attention when acting, “When I’m on stage as an artist, people will see my image as strong and tough, however this time (as an actor) I’m portraying a gentle and friendly image. This is a new side of myself, I’m glad that all of you are able to see that,” told the unique perspective of him on acting. Following his first leading role in the drama, in Korea, Yunho is already set to act in his first musical work, ‘Goong’ in which he’s been decided to be the leading role as well. Therefore Yunho can not be seen only as a singer now, as he already makes his efforts to work as an actor. Probably the day when he will be seen in Japanese movies and dramas won’t be too far away. Yunho himself stated, “If there’s a chance, I want to make work appearance in Japan. I love some former Japanese dramas and movies, I watched a lot of them. While “MR. BRAIN”, “DEATH NOTE” (06) are my favorite.” revealing his willingness. In addition to that, “Japanese anime is also great. In fact, I love the releases from STUDIO GHIBLI. I’m looking forward to ‘Karigurashi no Arrietti’ very much.” giving an unexpected review. As an actor, Yunho is expected to have a promising future. The DVD footage of this event will be released along with the soundtrack on August 25th (Wednesday), so please anticipate that. [INFO] No Limit~Heading to The Ground~PREMIUM EVENT 2010 Is Heading To Kobe! 30 minutes after the end of each part of the event, there will be an exhibition of 2 life-size panels of Yunho wearing the drama’s soccer uniform. The pre-sale of exhibition goods will start on the event day at 10:00. Everyone can purchase the goods, even though not having the event tickets. DBSK’s Uknow Yunho stood before the Japanese fans after some time. 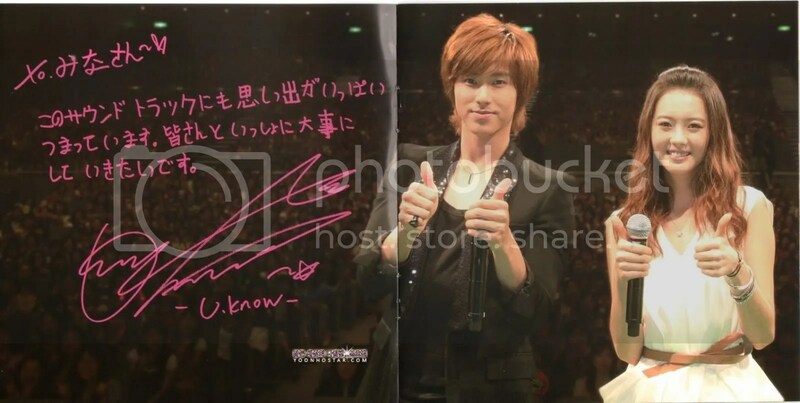 Uknow Yunho appeared on the 26th at the Tokyo International Forum for a premium fan event to celebrate the realease of ‘HTTG’ DVD. 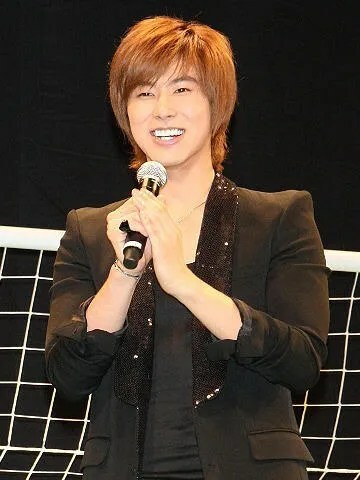 At the event which had approximately 10,000 people, Uknow Yunho appeared in front of the Japanese fans for the first time since DBSK’s activities were suspended. Meanwhile, MBC drama ‘HTTG’ DVD that Uknow Yunho starred in has reached #1 on Oricon’s weekly DVD chart. According to Oricon on the 28th, ‘HTTG’ drama DVD (box) 1 and 2 starring DBSK’s Uknow Yunho each ranked #1 and 2 on the weekly rankings. It’s been 3 years and 3 months after March 26, 2007 drama ‘Legend’ starring Bae Yong Joon that a Korean drama has reached #1 on Oricon’s weekly chart. ‘HTTG’ recorded somewhat lower ratings in Korea but it has received a great response in Japan due to Uknow Yunho. 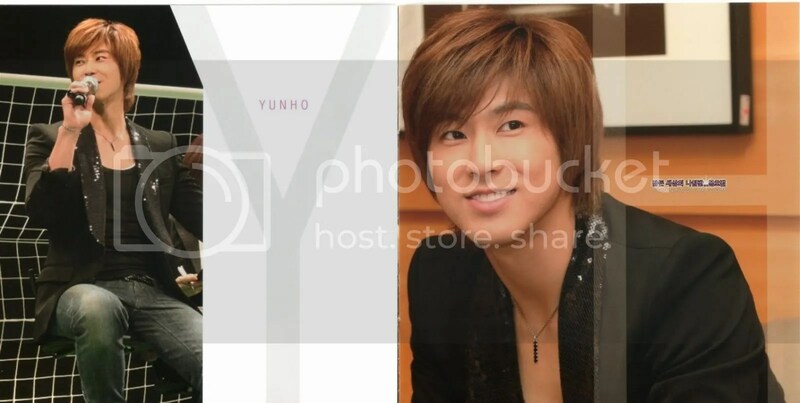 It is attritubed to DBSK member Uknow Yunho being recognized as a top idol star even in Japan and it is reflected in the fans’ huge interest and popularity. Uknow Yunho’s acting debut in ‘HTTG’ is a drama about a player from a second rate K League and a female agent’s dreams and love.